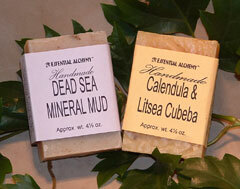 These soaps are made by a local (upstate NY) soap maker especially for us & they are fabulous!! Long lasting & good for all skin types. For those of you who have been wanting a Liquid soap that's not full of chemicals and doesn't smell like perfume, here's the answer! Gently cleansing liquid soaps with no artificial fragrance. These "clean" soaps, are scented only with pure essential oils. Clean as a Whistle Liquid soap contains essential oils of lemon & tea tree, which provide antiseptic, anti bacterial & antimicrobial properties. Mighty Kleen Liquid Soap contains essential oils of lime & rosemary, which provide antiseptic, antiviral, antibacterial & detoxifying properties. The scalp is one of the best places for essential oil absorption. That’s why true aromatherapy shampoos and conditioners are so beneficial. Our base shampoo is light and good for all hair types, including color treated hair. 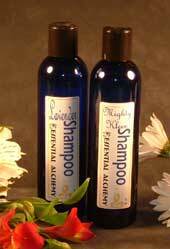 Then, we add pure essential oils, to give them a wonderful smell with a therapeutic effect. Our conditioner and shower gel use natural ingredients and are more gentle than the highly detergent products that are on the market today. - Mighty Kleen is exhilarating blend of lime & rosemary essential oils. The lime energizes while the rosemary conditions your hair and scalp. - The essential oils used in this shampoo are blended together for the purpose of helping those who use it to work with the principles of simplicity. - tangerine, French basil, marjoram, geranium, litsea cubeba, & lime essential oils are used in this blend to give a spicy fresh scent. - Cedarwood, patchouli, lime, rosewood, & sandalwood essential oils are used to give a warm and woodsy scent. We are reformulating our Shower Gels, please check back. A gentle shower gel. Cleanses and moisturizes. Available in the same blends as the shampoo & conditioners. 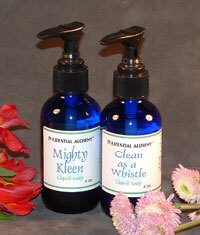 - Mighty Kleen is exhilarating blend of lime & rosemary essential oils. The lime energizes while the rosemary adds a heavenly scent.